The hot shoes at the Indy 500 have to come from somewhere, and what's cooler than being able to say, "I knew them when?" Here's the skinny: Saturday, the night before the '500', there's a race called "The Night Before The '500'" (somebody was ON IT). 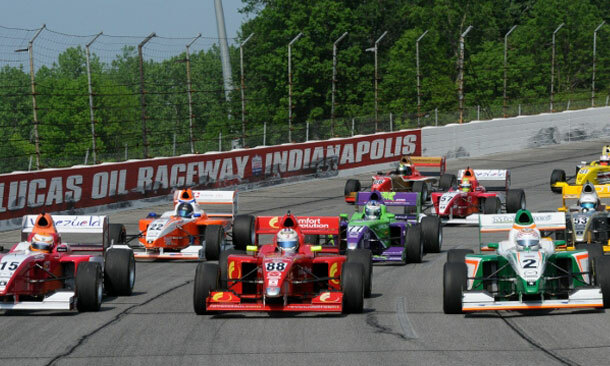 Held at Lucas Oil Raceway, it's a jam-packed night of racing featuring the USAC Midget Series and two—count them—two rungs of the IZOD IndyCar Series' Mazda Road to Indy ladder system: USF2000 and Star Mazda. Just some of the names expected to participate: Blackstock (Reba's son), Brabham, McIntosh (Shannon), Pigot, Veach, De Phillippi, Freiberg, Karam, and more. If you're in Naptown for the 5-hundy, anyway, no reason why you can't swing by LOR and get to know the future stars of IndyCar—while they'll still give you the time of day. I KID. Ticket information here. Schedule here.